The Oasis Chasing The Sun exhibitio touched down at the old Granada Studios for a short but sweet stay in the bands home town. 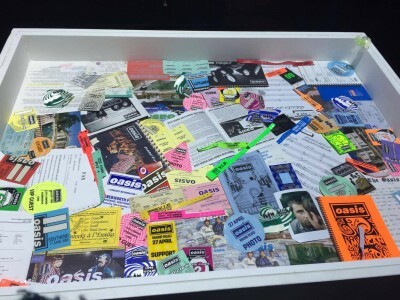 Bringing with it those who's teen years were spent idolising the band, and the younger generation, who even though they themselves never got to witness the band's success, the iconic sound of Oasis form part of the most played albums on their Spotify accounts. The exhibition was open from the 14th until the 25th of October and was free to the public. The location for the exhibition could not have possibly been better. Granada Studios doesn't automatically scream at you as a contender for a venue for an exhibition, and it isn't anything like a museum or an art gallery, but if one thing is for sure, it worked, brilliantly. The stripped back interior almost seemed a little rough around the edges, however so was the band; they were rock N roll stars after all. The simplistic, nature of the layout of the exhibition allowed the photographs and memorabilia to do the talking. 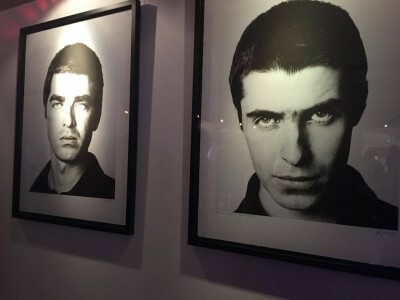 Photographs of the band lined the white walls of the studio and you couldn’t help but find yourself smiling at the facial expression the Gallagher brothers had perfected that was repeated throughout the images. A bit like the expression, a moody teenager would put on for a family picture they have been forced to join in on. 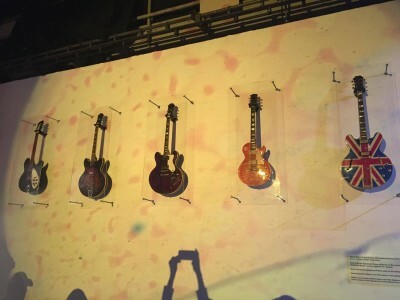 Fans were able to look at memorabilia and photographs from the early years of the band, which included handwritten lyric sheets, the steps from the pool that featured on the memorable Be Here Now album cover, and five of Noel’s guitars. The exhibition also had a short film on show where visitors could take time out from the hustle and bustle surrounding the photographs and memorabilia. Thomas Grimshaw, 18, travelled from Liverpool to see the exhibition: “This was a once in a life time experience due to it only being open for two weeks. It was unmissable and definitely worth the trip. Although the exhibition was overall great and at no cost to yourself, there isn’t really room to moan, I think a few tweaks here and there would have made the difference. Such as a clear timeline to the pieces on show and more information about the images and the bands possessions. The highlight of the exhibition was undoubtedly the Definitely, Maybe album art replica. Where you found the album cover mirrored ever so carefully into a real life setting for fans. All of a sudden, you found yourself sat in an identical scene to Bonehead's old living room where the shot for the album was took, trying to work out how you could possibly choose from taking Liam's spot on the floor or Noel's position on the couch with the guitar.